The Museum was established in 1791 as a museum of Natural History. A catalogue of its collections was prepared by Johann Fischer von Waldheim in 1806—1807 following his appointment as Director of the museum. The zoological collections were managed by the Imperial Society of Naturalists of Moscow and separately housed in the 1820s, and a second catalogue was published in 1822. 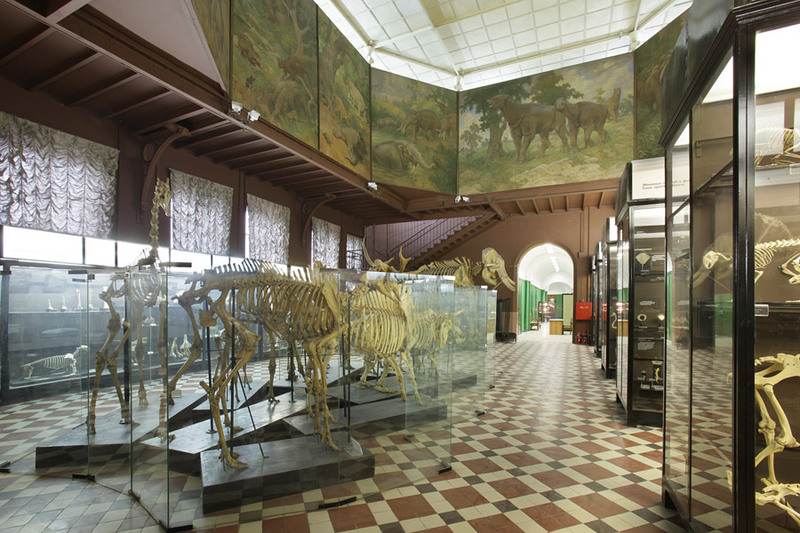 Complete autonomy came in 1861 with the establishment of the Museum of Zoology. In 1866 an exhibition area was opened open for the public. 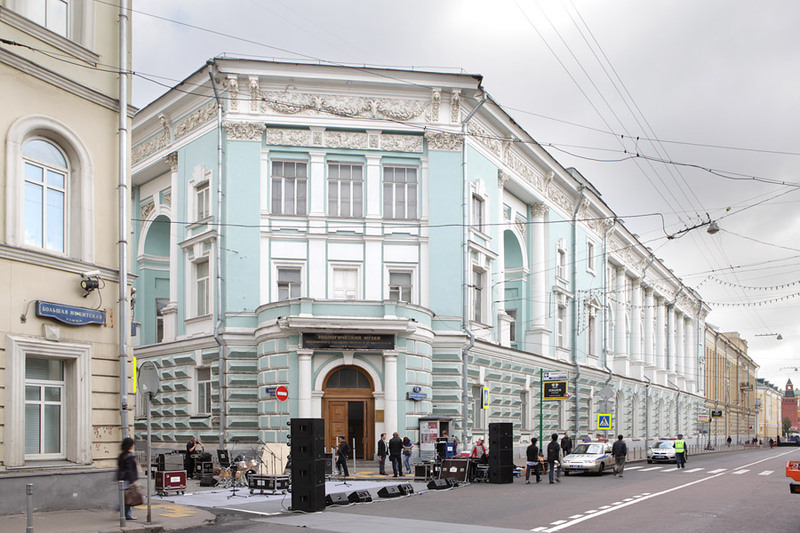 The present building was erected in 1898—1902. 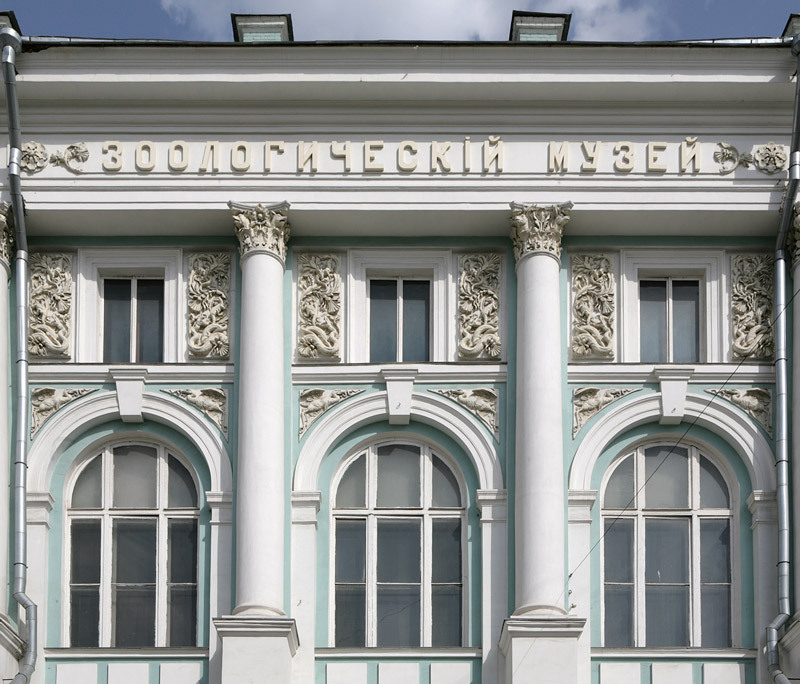 A Biological Department of Moscow University was established in 1930 and the Museum became a part of the University for a year, became independent again and then returned to the University in the end of the 1930s. In 1991 it became a research institution. 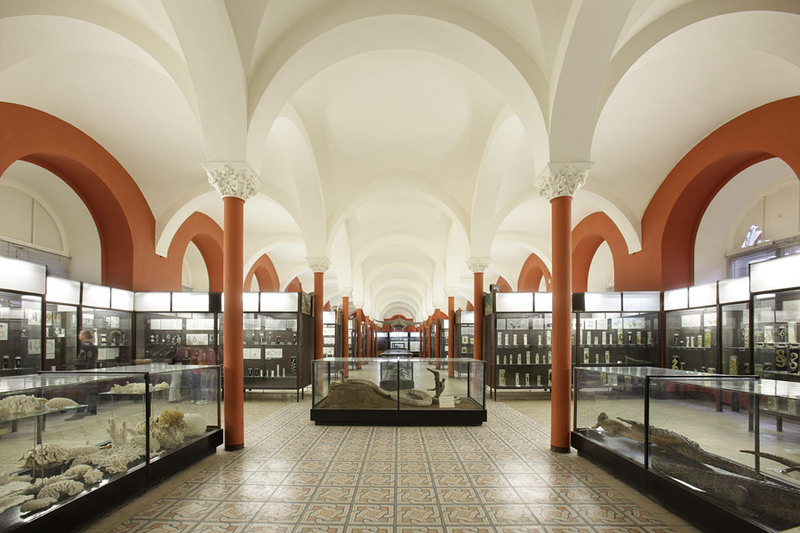 All prehistoric fossils were transferred from the university museum to the newly established Moscow Paleontological Museum in 1987. Photo: Margarita Fedina, CC BY-SA 3.0.